Inflammation and pain can be part of a healing crisis, but if your magnesium status is healthy you will heal and recover relatively quickly because the metabolism can perform the way it should. The lower the cellular magnesium levels get however, the slower it becomes to recover from the stresses and the more painful and amplified are the symptoms. Low magnesium status is prevalent in diabetes type II, heart disease, cancer, depression and immune system disorders. 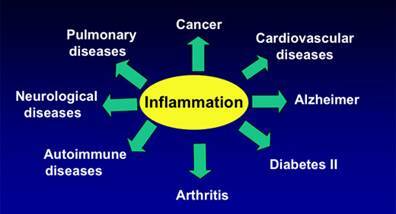 All of these degenerative illnesses have inflammation and oxidative stress in common. Inflammation is characterised by pressure and pain as the immune system goes into overdrive, sending lymphocytes to regions of pathogenic activity and acidic low oxygen environments. If your immune system is weak because of lack of energy, the body has to compensate by sending more white blood cells to the region of pathogenic attack and injury. This causes pressure and clogs up tubes. The pressure is painful. It can also lead to hypertension and heart disease. In World War 1 the French discovered that using magnesium chloride salt solution greatly improved healing of injuries in their soldiers – something they stumbled upon because pharmaceutical drugs were in short supply at the time. Researchers since then have discovered that an optimum magnesium status in cells correlates with a more effective immune system because magnesium helps our white blood cells to be more virulent. They can therefore give us more bang for our buck, so we don’t need so much immune activity and phlegm with less effectiveness clogging up the works and causing traffic jams. Inflammation is a natural consequence of magnesium deficiency and can happen in any part of the body from fat cells to brain, liver, spine, nerve sheaths, lungs, sinus, bowel lining, vascular walls, joints and ligaments. 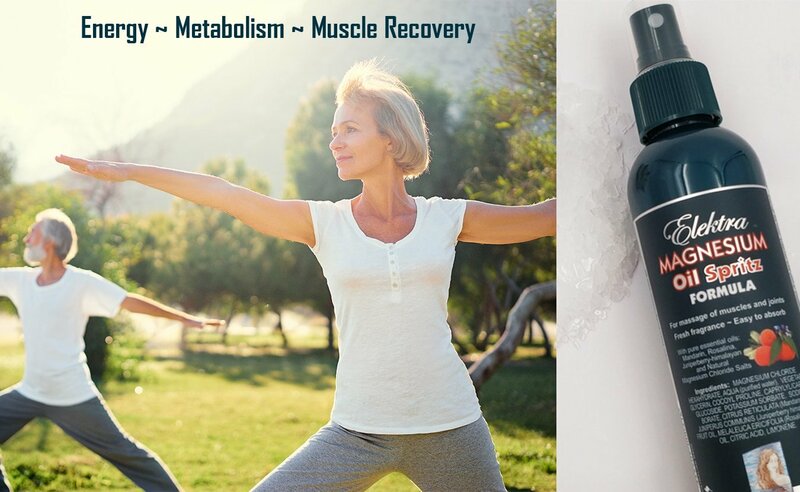 With over 100 years of magnesium studies, researchers have realised that magnesium is easily the most important mineral in the body with the most jobs to do. 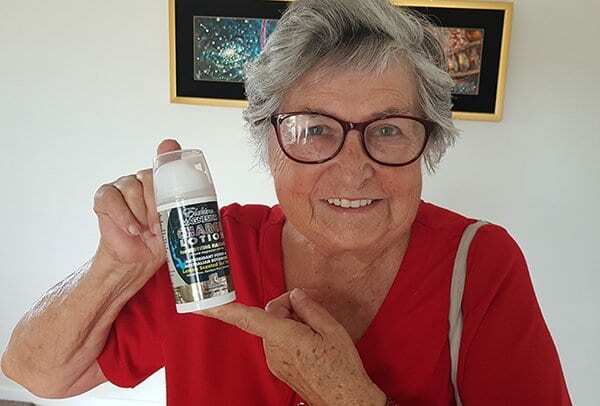 Scientists Dr Mildred Seelig and Andrea Rosanoff in their book The Magnesium Factor  said that there are over 350 direct functions of magnesium, and over thousands more when one considers its role as a vital co-factor with many other nutrients and support of enzyme activity. just like vitamin C is a powerful antioxidant and the king of the vitamins. Every cell has enzymes that perform functions. When magnesium gets low the voltage of the cell drops because mitochondria are dependent upon magnesium to make Adenosine Triphosphate (ATP) – the energy currency of the cell. Enzymes need ATPs to drive activity, so their processes become sluggish and slow with a magnesium deficit. Consequently, important detoxification enzymes like glutathione become inhibited and the sewage and waste product removal system slows down. As in stagnant water or a compost heap, the cellular environment can drop to an acid pH. This state of acidosis means less oxygen can be dissolved in those fluids. Without enough oxygen and alkalinity, the electron flow of our bio-electrical system slows. 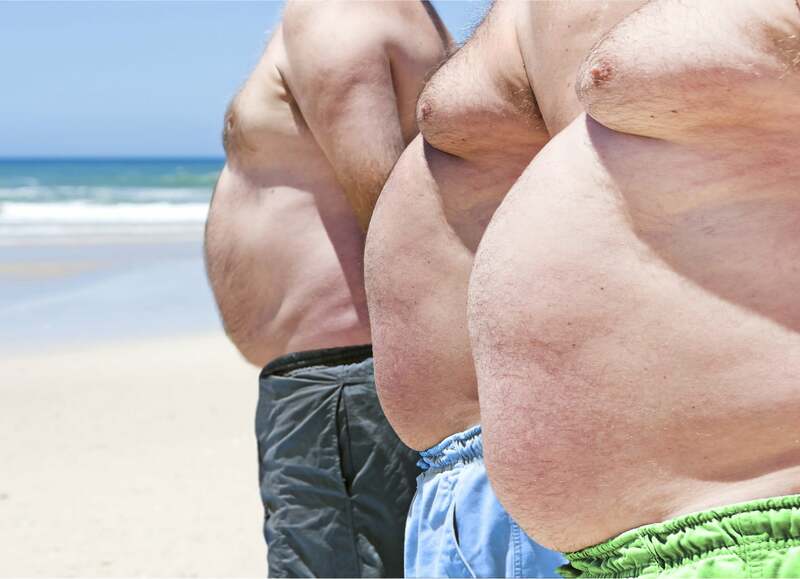 Fat becomes difficult to turn into energy without enough magnesium and oxygen. This means metabolism has to switch to carbohydrate burning (which is anaerobic) in order to get energy. The unfortunate side effect is that this sugar-burning system is less efficient and leads to a roller-coaster ride of hyperactivity followed by energy slumps. It’s like a short term straw fire with a flare in energy and then – bang, crash. In contrast, fat burning metabolism offers a more even and sustained energy supply with increased ATP production – if there is enough oxygen and magnesium available to the mitochondria. Sugar also steals your magnesium because you need 28 magnesium ions to metabolise one sucrose molecule to energy (and 56 magnesium ions for one fructose molecule). This means that the more hooked you get on sweets and candy the more they will steal your magnesium and plunge you into energy crashes. Not only that, but sugar metabolism produces even more acid by-products. It’s a downward spiral because acids lead to oxidation (acidification) of lipids and production of Low Density Lipoprotein (LDL) – the bad cholesterol. It’s the High Density Lipoprotein (HDL) that is vital for brain, nerves, skin barrier and other important functions, and it’s magnesium that helps us to produce it! In a low magnesium state we can’t seem to get the energy we need despite consuming enough calories. The brain, which must have a lot of glucose (from fat or carbohydrates), tells us we need to eat more. The craving for carbohydrates as a quick fix goes up as magnesium and oxygen levels go down. You can make energy anaerobically (without oxygen) by burning carbs, but it produces too many acids and is not as efficient as the oxygenated fat-burning system. We seem to feel hungry all the time without feeling fully satisfied. It’s just not the right kind of fuel our cells need. This leads to over-eating, but we can’t use up all those carbs, so the body’s insulin has to take the excess that cannot be used as energy to the liver to be converted to fat – which is mostly fat around the middle leading to a pre-diabetic shape, and eventually diabetes. We even need magnesium for the pancreas to make insulin. We then need magnesium to assist the insulin and sugar to get access to the cell through the membrane. Cell membrane charge is dependent on magnesium. When the lipid bi-layer has enough magnesium it can be stretchy, opening and closing when needed to absorb nutrients, to eliminate wastes, to prevent loss of potassium and hydration and to keep the excess calcium and sodium in the extra cellular spaces. As magnesium levels get low too much calcium replaces the magnesium and causes the cell membrane to get harder, looser, to lose hydration and to depolarise, thereby losing its functional integrity. It can’t open and close as readily to keep out what should be kept out and to hold in what should remain in. Note that the wrong kind of fats (lipids) incorporated into our membranes can also cause them to malfunction. Avoid foods containing trans-fats like margarine and deep fried foods. We can easily become energy-starved, sugar-sensitive and dehydrated as magnesium reserves become depleted. Most People in Modern Societies are Magnesium Deficient! Our soils and food supply have become very magnesium depleted due to industrial-chemical farming methods. Processing removes even more magnesium, as it is highly water-soluble. To add insult to injury, stress causes excessive magnesium loss to recover and relax from the ‘fight or flight’ cortisol (adrenaline) and calcium-tightening response in muscles. When we are tense calcium moves into the muscle cells for contraction, and for the relaxation phase magnesium moves in to loosen the grip of the calcium. After magnesium has been used to relax the muscles and dissipate the oxidised adrenaline, it is then excreted by the kidney via the urine. Younger people with an efficient kidney and healthy endocrine system experience a more protective effect with some recycling of magnesium. The older we get however, the more we suffer from hypermagnesuria (excessive loss of magnesium via the urine). Heavy metals and chemicals such as fluoride inhibit magnesium metabolism and enzyme activity. As magnesium is also essential for our beneficial gut bacteria to function, the exposure to heavy metals and fluoride can cause digestive issues such as leaky gut, or irritable bowel syndrome (IBS). Leaky gut allows toxins to move from the bowel into the blood stream and other parts of the body, causing an inflammatory response. Inflammation and pathogenic toxins can even travel to the brain and cause mental illnesses and depression if the blood-brain barrier is thin enough and compromised. Magnesium however supports the gut microbiome, which can then help repair gut lining. It is also important to ensure the diet supports gut health. For those with digestive issues the GAPS diet has proven to be very successful at managing symptoms. See a nutritionist for a gut-healing eating plan to suit your individual needs if you are not sure. Rule of thumb is to choose organic produce and meats, avoiding GMO and chemical additives. Avoid fluoride wherever you can. It works like a pesticide or ‘anti-biotic’, killing beneficial gut bacteria (which leads to more inflammation and premature ageing). Fluoride can appear not only in your water supply but also in foods and beverages (like juices and tea leaves), fire retardants, outgassing of upholstery chemicals, Teflon coatings, pharmaceutical drugs and dental products. Magnesium deficiency is a common problem with poly-pharmacy (ie. use of multiple medications), as well as chemo and radiation therapy. These are chemical stressors with elements that can block magnesium’s use in the body, as well as cause it to excrete magnesium excessively. Low magnesium leads to cell dehydration followed by hypertension. Hypertension is also associated with inflammation and acidity, which is another symptom of pollution in cells. Calcium hardening of the endothelial lining of arteries, as well as the thickening of blood from free calcium, causes blood pressure to rise. “The solution to pollution is dilution.” Therefore, DRINK MORE WATER and make sure it is purified and re-charged with magnesium chloride salts (one small pinch per litre). This water provides essential electrolytes to support the metabolism. Signs of magnesium deficiency include cramps, twitches and restless legs, as well as hyperkalaemia. 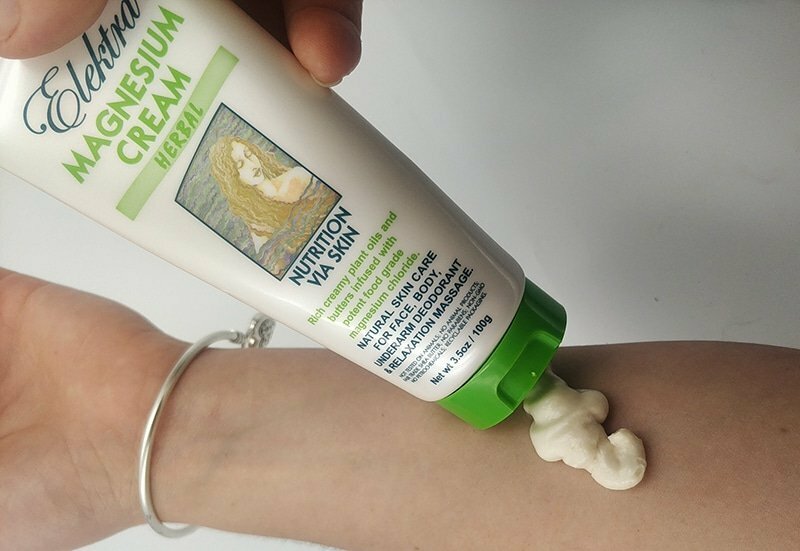 As magnesium gets lower, calcium settles in the soft tissue and joints causing irritation and grinding of joints, calcium ‘lumps’ in muscle fibre, stiffer ligaments and calcium deposits on the endothelial lining of the arteries. The muscles become stiffer and harder to relax, tighter and feeling knotted. When muscles feel shaky and spasm involuntarily there is instability in the electrical conductivity of cells and electron flow becomes intermittent. We need both sufficient electrolytes and hydration for our cellular ‘batteries’ to produce sufficient voltage. As the potential hydrogen (pH) of the cell drops (ie. less and less hydrogen), the voltage also drops. pH is equivalent to voltage. Voltage is the ‘power socket’. 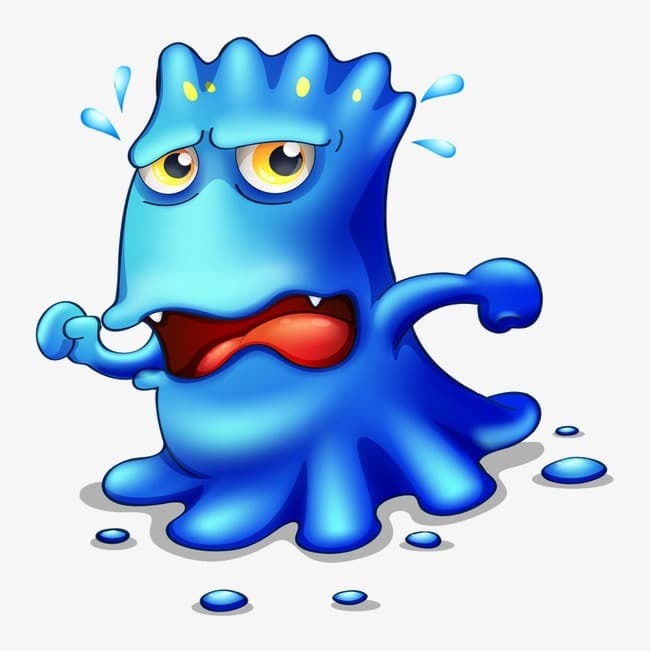 This is why cellular acidity is our enemy: It lowers our bio-electrical metabolism capacity, making the cells sluggish as enzyme activity slows. Conversely, when cells have a slightly negative charge (alkaline pH, ie. more hydrogen) they are repelled and bounce off one another, producing the right Zeta potential and blood fluidity. This means cells also have more surface area to absorb oxygen and nutrients. Maintenance of the right pH is so important that the body will take calcium out of the bones if there are no other buffering agents available, and use it to balance pH elsewhere in the body, that is in the soft tissue, arterial lining, joints or ligaments. The calcium then precipitates and hardens, causing stiffness and grinding of hard structures against one another. Eventually this irritation causes more swelling and inflammatory response. If the calcium deposits on the endothelial lining of the arteries it causes lesions as the vessel tries to stretch to accommodate blood pumping surges. The body then has to send cholesterol bandages to stop the lesions from leaking. Cholesterol is there because it is addressing an emergency: Not because it is the culprit. However, acidic states will oxidise the cholesterol causing more LDL (the bad cholesterol). Ultimately, cellular pollution and low nutrient status are the culprits in heart disease  – and in fact in all inflammatory conditions. Acidity (low pH) in cells also creates the ideal environment for pathogenic infestation. 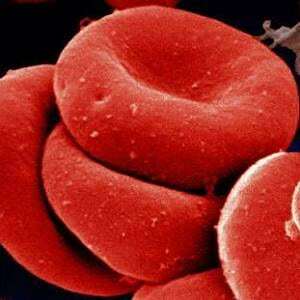 Low pH means not enough oxygen can dissolve in the cytoplasm or blood plasma. Pathogens like streptococcus, which causes cold and flu symptoms, thrive in low-oxygen acidic environments of about 5.5 to 6.5 pH. The immune system, if in overdrive, can produce excess Reactive Oxygen Species (ROS) and other acidifying chemicals which can further exacerbate symptoms. It can be like a sledge hammer used to hit a small nail with too much other collateral damage occurring. Alkalising cells with foods such as extra sodium bicarbonate, magnesium salts, lemon juice, ginger, tumeric and grandma’s chicken soup can be a powerful immune support to knock out flu symptoms. Another pathogen that commonly causes havoc when acidity gets out of hand is candida. Candida is a very common opportunistic fungus that morphs into another form with hyphae that pierce and corrupt cells to feed off them when the acidic environment of the cell drops low enough. When cells have a healthy slightly alkaline environment (pH 7.35-7.45) candida just sleeps: It is dormant. Everyone has some amount of candida spores floating around in the body. However, it’s the acid pH that wakes them up and turns them into a dangerous parasite. Nature keeps fungi packed away in a drawer until needed to clean up and recycle. This fungal recycling system works to break down organisms that have finished their life cycle (or are weak and nearly done and need a little help from fungi) so they can be disintegrated to their basic constituents and returned to the environment to support growth of new organisms. 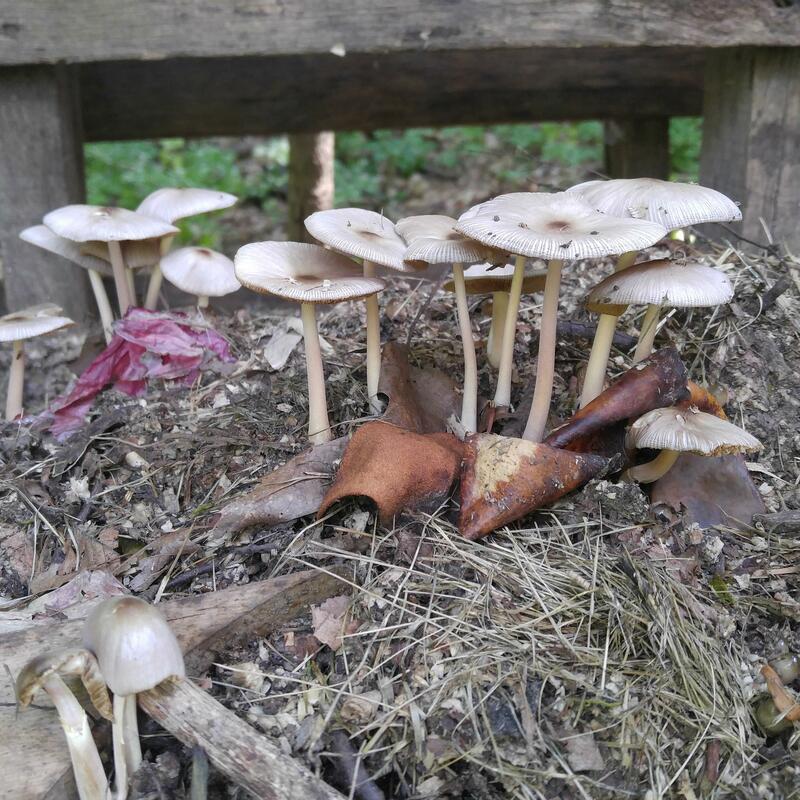 Fungi decompose organic matter in a low-oxygen acidic environment. Just look at your mulch and compost heap. Notice the mushrooms growing on that rotting log in the forest. Once the breakdown with acids has been completed the soil organisms – earthworms, bugs, bacteria etc go to work to turn it all over, aerate it and prepare it for new growth. New growth requires oxygen, water and nutrients (especially magnesium!). Our cells are no different, except we don’t want to decompose whilst we are still alive! 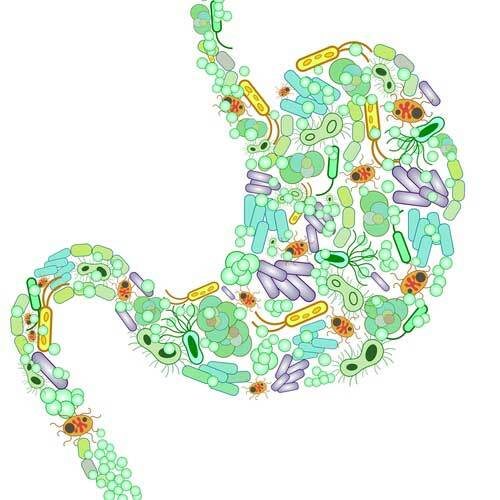 Our cells, with the help of our gut microbiome and nutrients, need to ‘take out the garbage’ and make new cells. To do this they need energy from hydration and electrolytes, magnesium being the master mineral electrolyte. To restore proper electrical balance and a healthy cellular metabolism the cellular environment must be changed – that is cleaned up, alkalised, oxygenated and fed with quality nutrients so that it supports the life force. Note that use of antibiotics can decimate your beneficial bacterial colonies, which also keep candida and toxic bacteria under control. The combination of antibiotics and acidosis provides the perfect environment for candida and other pathogens to flourish. It can ironically lead to an increase in inflammation on a chronic level as these pathogens learn to become resistant. Supporting our immune system, alkaline pH levels and beneficial bacteria with the right nutrients like magnesium is the best way to build strength and recover quickly from infections. The body is an amazing bio-computer. Cells are a ‘bio’ hard drive with programmes running from our DNA. Nothing works however, unless you plug your computer cable into the power socket. 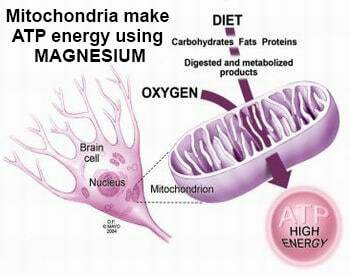 This is what magnesium does for us via the mitochondria and ATP metabolism. Life force and energy metabolism is the product of the right kind of environment. How Can I Top Up My Magnesium Levels to Prevent Hyper Inflammation Responses? One of the best ways to absorb large amounts of magnesium which can alleviate symptoms of magnesium deficiency is transdermally (via skin) using magnesium chloride hexahydrate (magnesium salt flakes) in solution. The skin can easily take up ionised magnesium without involving digestion. Just as your skin can excrete electrolytes during perspiration, it can also draw electrolytes in. For thousands of years people have been soaking in mineral rich hot springs or enjoying a regular swim in the ocean to top up electrolytes and alleviate inflammation, pain and arthritis. If you don’t have the opportunity to do this you can soak in magnesium chloride salts at home in a bath or footsoak, or use Elektra Magnesium Cream moisturizer for your daily skin care, or Elektra Magnesium Charge Lotion or Oil to add higher concentrations of magnesium on muscles where needed. There are no contra-indications as transdermal absorption of magnesium is regulated by the body’s own homeostatic balance, just like the roots of a tree absorb minerals from the soil, but not more than it needs. Nutrients are absorbed into the epidermal layer and temporarily stored, the same way the body makes vitamin D from sunlight exposure on the skin and holds it in its collagen cage ‘reservoir’ whilst the tiny capillaries of the dermis underneath gradually absorb the nutrients as required. The skin, like the gut, also depends on the right microbiome to maintain a healthy skin layer and these beneficial bacteria must also be fed with the right nutrients or inflammation in the form of psoriasis or dermatitis can result! 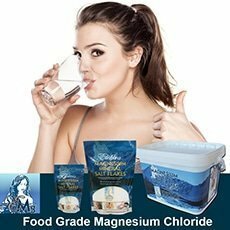 The skin is the largest organ of the body and can ‘consume’ the nutritional plant fats and natural magnesium chloride of Elektra Magnesium products. This skin ‘food’ is stored in the epidermal layer and passively absorbed as is needed over time, as the body is self-regulating this way. There are no drugs involved, nothing nanosized nor chemicalised and you can combine any of the body care products in any amount to suit individual needs. Enjoy the benefits of ‘Nutrition via skin’! Wolf, Federica I. and V. Trapani, Cell (patho)physiology of magnesium. Clinical Science, 2008. 114(1): p. 27-35. Seelig, M.S. and A. Rosanoff, The magnesium factor. 2003, New York: Avery. Weglicki, W., et al., The Role of Magnesium Deficiency in Cardiovascular and Intestinal Inflammation. Vol. 23. 2010. S199-206. Swaminathan, R., Magnesium Metabolism and its Disorders. The Clinical Biochemist Reviews, 2003. 24(2): p. 47-66. Sherrington, S.L., et al., Adaptation of Candida albicans to environmental pH induces cell wall remodelling and enhances innate immune recognition. 2017. 13(5): p. e1006403.